Ambergris Caye, Belize, August 10, 2016	(Newswire.com) - ​Hilton hotel is one of the most recognized hotels in the industry especially to travelers around the world. Since it became a big name worldwide almost one hundred years ago, Hilton hotel fans are thrilled to go and visit the extraordinary places that have Hilton hotels. Because of this positive and amazing response from their fans and clients in every part of the world, they keep up their excellent service in return. That is the reason why they continue to branch out to other parts of the globe. Recently, they decided to bring their luxurious service in hotel and resort on the eastern coast of the Central America. They announced that they have signed for a new resort property in Belize. Once the resort is open, it will be the first ever luxury hotel in Belize and first property there from Hilton Worldwide. Well, why not Belize, right? The country of Belize is known for its amazing beaches, its eco-lodges, and a great spot for sport fishing and scuba diving. Belize City is its largest city which is often a jumping off point for the countries more famous tourist spots with extreme activities like snorkeling and zip lining. It is also known for its ruins, nightlife, and quaint shopping places. 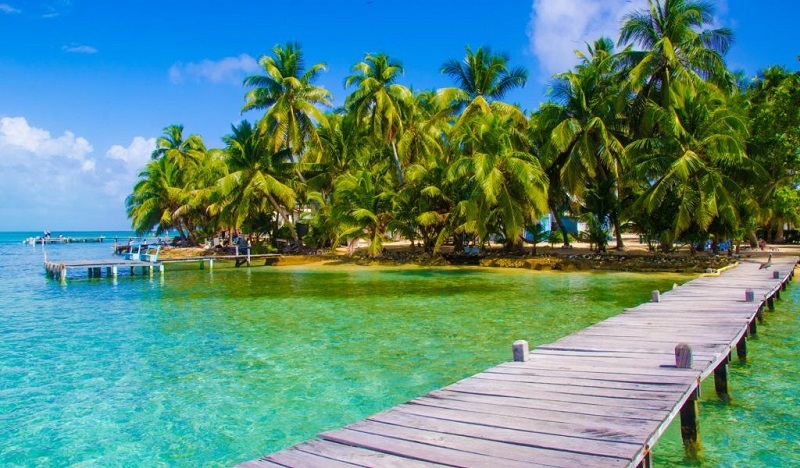 To make their country more attracting to tourists, Ambergris Caye is their largest island which is known by travelers for its famous Caribbean beaches with more scuba diving spots and water sports. The owners of the luxurious Hilton Worldwide chose Mahogany Bay Village and embrace its extraordinary style. With its chic style mixed with a rustic touch, it expresses the captivating ambiance of the hotel and the hospitality trademark of Belizeans. The whole place is filled with Belizean charm and culture with white sand beaches. The location of the new luxury hotel in Ambergris Caye, Belize is recently rated as the rank 1 among the islands in the world according to the TripAdvisor website. This is a world class piece of art from Hilton Worldwide just like their other hotels all over the world. Well, what do you expect in one of the biggest hotels names in the world, right? Of course, the best among the best will always be their front liners. With more than 60 acres of property, the hotel and resort will be featured with 205 cottages in a villa style rooms. It will include a spa, meeting space, private residences, the bay, and of course the vibrant space for public. It will be the most sought village in the country with its fresh attraction that is perfect for every family outings and business meetings away from the crowded city and busy offices. This new Hilton Worldwide hotel in Mahogany Bay Village is said to be the place to stay, live, play, and invest. Thanks to its excellent and well-designed facility, relaxation at its best, and it is family-friendly fun wherever you go. It is the place where new dreams can be made and a perfect spot for entrepreneurs to search for more opportunities.